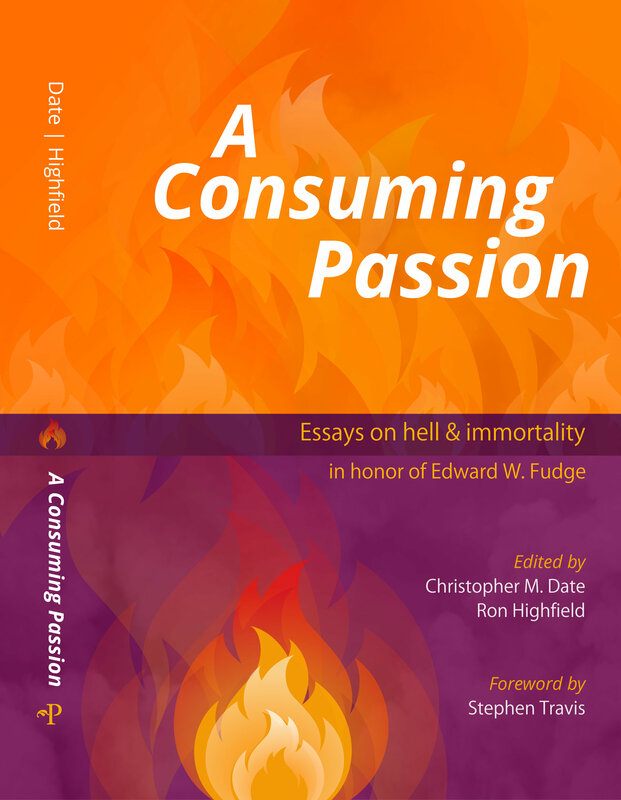 Last year Rethinking Hell published our second book, A Consuming Passion: Essays on Hell and Immortality in Honor of Edward Fudge. For some time it had been a dream of ours to publish a festschrift in honor of Edward, whose work on the nature of final punishment has so influenced us, whose character so inspires us, and whose friendship is so dear to us. A few months ago I had the privilege of presenting A Consuming Passion to Edward with my co-editor Ron Highfield, and interviewing them both. In April of 2014, shortly before the inaugural Rethinking Hell conference at the Lanier Theological Library, we published our first book, Rethinking Hell: Readings in Evangelical Conditionalism. 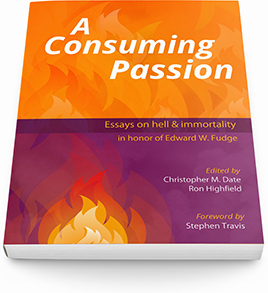 A year later, we are excited to announce the upcoming publication of our second book, A Consuming Passion: Essays on Hell and Immortality in Honor of Edward W. Fudge! (Cover design in image at left is indicative only.) Wipf & Stock, who published our first book and the 3rd edition of Edward Fudge’s The Fire That Consumes, has agreed to publish our second book through Pickwick Publications, its most academic imprint.